As part of our month-long series of top tech gadgets to inspire many to revisit decades-past photos, ScanMyPhotos scoured many tech products to provide the best of the best. Our favorite is Picture Keeper to protect all your data and free up vital storage space on your devices. And, it’s super affordable and simple to use. The best part is we think you’ll enjoy how fun it is to use. 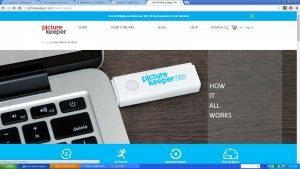 Picture Keeper isn’t the cloud, it isn’t a hard drive, it isn’t just a flash drive. Picture Keeper is a solution. They embed intuitively brilliant and easy to navigate software onto their custom flash drives. Picture Keeper gets you started protecting your photo files quickly and offers a wide variety of drive sizes to fit whatever your photo needs may be. Initial backup finds all of your pictures. Just click “Start Backup”. With the Picture Keeper Connect App, you can back up your photos videos and contacts. Download your password protected backup onto your computer at your convenience. 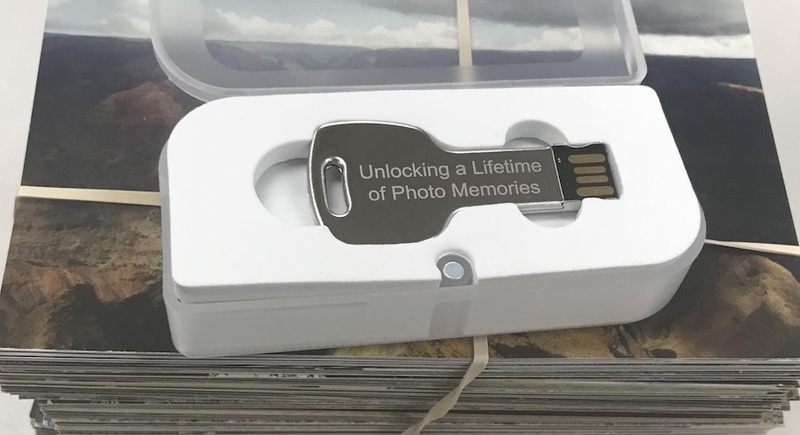 Perfect for backing up those photos from your weekend getaway, or simply creating a backup of your device just in case! Before delving into the 300 vs 600 DPI photo resolution myth, from the 600 million pictures digitized at ScanMyPhotos. We have an important insight. 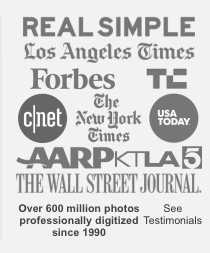 Most people scanning pictures are primarily just uploading to social media photo-sharing apps, where 150 DPI is ideal. That is what we launched ONE CENT PHOTO SCANNING. When discussing the resolution of digital images, far too often people get hung up focusing on DPI (or PPI) as a way to measure the size and quality of a digital image. This may sound completely wrong to you, but the DPI of an image has nothing to do with digital image quality. The reason? A digital image’s resolution is expressed as it’s pixel dimensions, either as pixels by pixels or the often heard keyword, megapixels. So why do people get hung up on DPI? The simple reason is that when it comes to printing, DPI actually IS the measure of quality. Confusing, right? Click on each image below. Can you tell the difference? You should be saying to yourself, “They look exactly the same.” Both are 600 x 900 pixels, both saved at the exact same 20% compression rate but they have vastly different DPI values. So why isn’t there a visual difference? As noted above, digital image quality is measured by the number of pixels in an image, either by the pixel dimensions or the megapixel value. In this case, they are both 0.5-megapixel images since they have the exact same pixels dimensions (600 x 900 pixels). 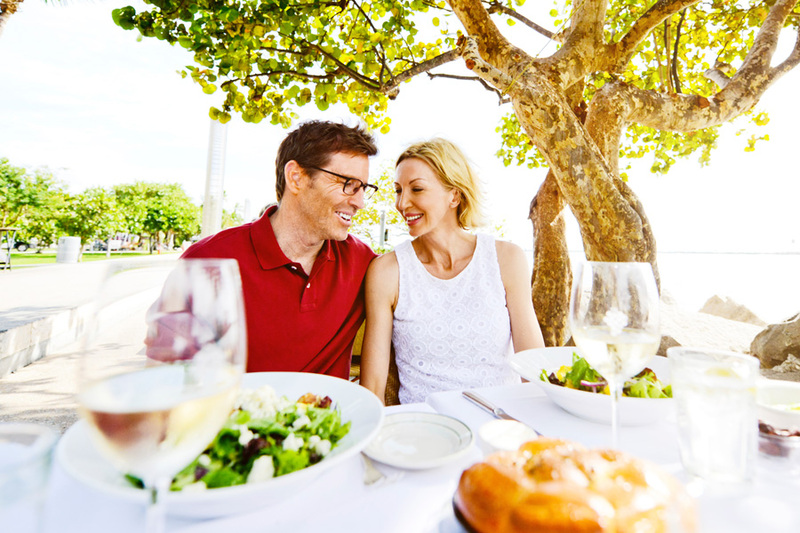 For standard uploading to social media photo-sharing sites, standard 150 DPI is ideal. Now, if you want to discuss the DPI of a digital image, YOU MUST ALSO assign a physical size to it. You can’t simply say, “This image is 200 dpi.” You have to say something like “This image is 200 dpi at 4 inches by 6 inches.” It is important to remember that a digital image has no absolute size or resolution. Think about this, when do you typically discuss DPI? The answer you should be thinking about is “When I want to print the image.” This is where DPI comes into play because a printer may output at 150 dpi, 200 dpi or 300 dpi and each would require a different file size to print the optimum print. You may also be thinking that you discuss DPI when you scan a photo, but we will get to that later. For uploading to social media, 150 dpi is adequate. The issue that causes all this confusion is that many users interpret a photo editing program’s reference to DPI as a measure of “resolution” but this is actually the displaying the OUTPUT or printing resolution, not the resolution of the digital image. Has this happened to you: You had your photos scanned by ScanMyPhotos but when you open the file in Photoshop, it says that it is 72 dpi and you clearly paid for 600 dpi? Before you start writing a strongly worded letter to ScanMyPhotos, look at the width and height? Does it show that the photo is 50″ by 33″? We all know you did not send a 3 foot by 4-foot photo for scanning so what happened? Nearly all monitors can only display 72 dpi so most programs default to showing 72 dpi. So, when working in Photoshop, for example, the first thing you want to do when looking at File->Image Size is to TURN RESAMPLE IMAGE OFF. If you then turn your attention to the rest of the dialog box, you can see it connects Resolution, Height, and Width together while Pixel Dimensions is separate and uneditable from the Document Size. As long as you have Resample Image turned off if you change any one of the values for Width, Height or Resolution you simultaneously change the other two, but the Pixel Dimensions will always remain the same. As the resolution goes up, the width and height go down, and vice versa, because a digital image has no absolute size or resolution. All it has is a certain number of pixels in each dimension that will be displayed on a monitor or screen. Click on the image below for a detailed look at the relationship between size and DPI and how it doesn’t affect the actual pixels in the image. Excerpt: Camera roll. While you’ve got your phone out, take a trip down memory lane to organize your photos and free up some memory space. 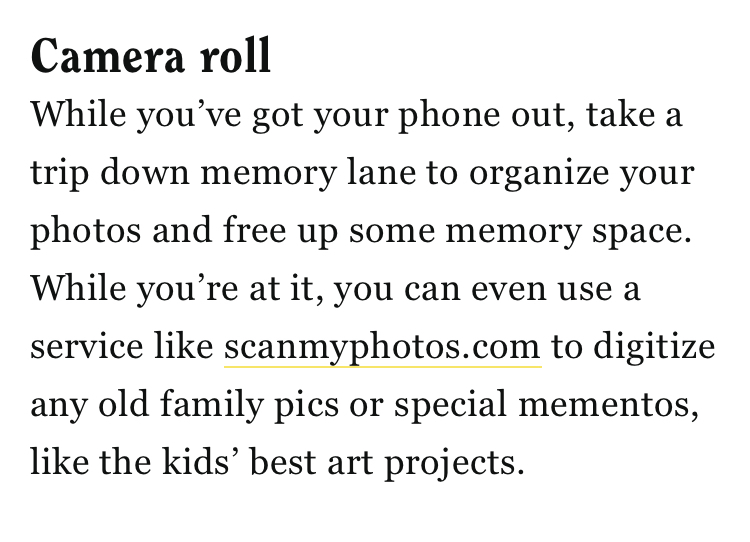 While you’re at it, you can even use a service like scanmyphotos.com to digitize any old family pics or special mementos, like the kids’ best art projects. 20 Spring Cleaning Tips for People Who Hate Chores. Here’s the secret to getting it all done. Amy Slenker-Smith, the organizer and unclutter expert who publishes Simply Enough, shares here project to digitize pictures and details how she handled it by using ScanMyPhotos.com. Excerpt: Perhaps you have a pile that looks like this? Fear not, you can turn this into organized digital photo albums to share with friends and family. Several years ago, I owned 12+ photo boxes. By sorting and purging, the very best photos went to a few archival quality albums. Thousands of pictures were thrown away….yes, in the trash. Even baby pictures and wedding photos! Do you have a box of black and white family photos tucked away somewhere? Are you unsure of the people in them? Unfortunately, passed down photographs rarely include important details. My Grandma Alice was a rare exception. She detailed information on photos and sorted them into envelopes for her kids. My cousins and I spent hours looking through them. What a gift she left us years later. Inspired by her efforts, I scanned the photos including this info and her handwriting as well. 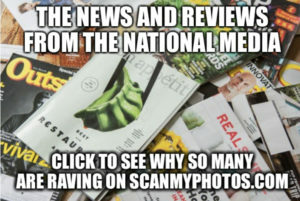 If you prefer, use a Scanning Service such as ScanMyPhotos. I love this service. With my box of 1,800 photos, I had a great experience! I opted for “Scan in Order” which was well worth the additional cost to maintain the labels I created. How to Organize and Digitize Pictures — Read in AAA’s Via Magazine [enter “94200” as Zip code to access].